How are your plans for ME Awareness Week coming along? It’s not far off now – Monday 6th to Sunday 12th May. 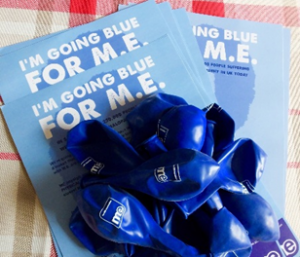 Here at the ME Association, we’ve been working hard to make this the biggest and best ME Awareness Week yet. To support you in your efforts and to raise awareness and funds for this devastating and often-misunderstood disease. Our fundraisers are already working up ideas for their Go BLUE 4 ME campaigns. We expect lots of blue hairstyles, blue faces, blue cakes, blue nails, blue buildings… through the week. Pictured is Joy Patel who has galvanised 38 branches of Subway (Resso) to fundraise their hardest during ME Awareness Week. How you go BLUE and how far you go BLUE is entirely up to you. We’ve got promises of a Fast Food Football tournament, an auction, a garage sale, a street collection, some runs, a skydive, and a Robbie Williams Tribute band. We know that there will be many head shaves, blue hairstyles, tea parties and dress down (blue) days happening up and down the country. And for those of you unable to leave your homes, there will even be a virtual tea party that you can join on 12th May – ME Awareness Day itself. If you fancy being a part of the madness, we’d be thrilled to have you join us… Please get in touch with me with any ideas you have – the dafter the better! 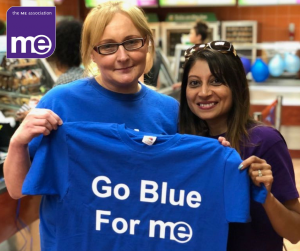 There’s a FREE BLUE T-SHIRT for every fundraising event that is organised – get in early while we still have stocks of all sizes. And we have revised and updated our supplies of leaflets, balloons, and posters to better support your efforts too. Here is our checklist of supplies – please download MEA-Fundraising-Supplies-for-Go-BLUE-2019 and email us with the list of what you think you might need. Already know what you want to do? 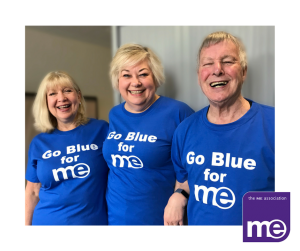 Then please join our Go BLUE for ME team on JustGiving: GoBLUE4 ME – 2019. 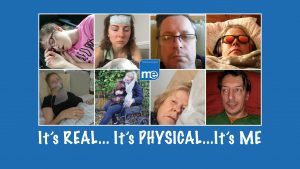 The focus of the ME Association’s awareness campaign for 2019 will be the Real M.E. Promoting REAL stories and photos from REAL people, telling the world about the REAL disease. We all know that it’s not an easy disease to describe, because it varies so much in intensity and severity both from person to person and even from one minute to the next for each person affected. We’ll be working hard to get as many stories onto social media and into the press as we can – we already have a great many lined up! If you want to share your own story with your local press, we’ve prepared a step-by-step guide that we hope will help. There are also some quotes you can use from Dr Charles Shepherd and links to the M.E. Factsheets we have produced as well as other information you might like to include. Want to do something but not too sure what? Perhaps the Events Gallery from last year’s ME Awareness Week can give you some inspiration. You’ll find our supplies list of leaflets, posters, balloons and everything else you might need to support your efforts on our website too. Or feel free to get in touch with me for a chat – 01280 838964 or helen.hyland@meassociation.org.uk – and we’ll work up some ideas together. Let’s make this the biggest and best ME Awareness Week yet! Real People. Real Disease. Real M.E. 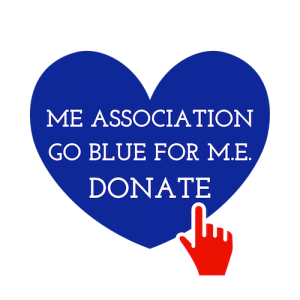 If you would like to support our efforts – particularly during ME Awareness Week – and help ensure we can continue to inform, support, advocate and invest in biomedical research, then please donate today. 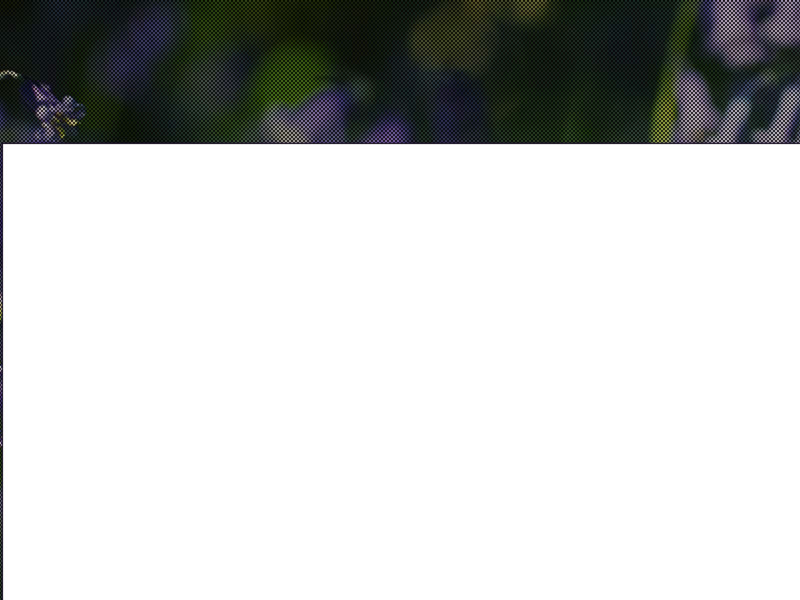 Just click the image opposite and visit our JustGiving page for one-off donations, to establish a regular payment or to create your own fundraising event.